Now you may look at this sign and think Sid is tooting his own horn. But, if you know Sid, you know that that is not the case. Every year, at the school at the dump, the graduating class picks a person to honor for their graduating class - obviously Sid got honoured that year for all his efforts. It is truly amazing how this site has grown over the years. From a small one building idea to a school yard with several (4) classrooms. 1) This video shows something that you can't explain easily. Sid knows a half dozen words in Spanish yet he has accomplished amazing things. While that is impressive...this video shows something else. Those kids, up there, love Sid. He has a relationship with them. Love is shared without words, it is shared with actions. It is felt. 2) Here are two homes close to the school. You can see a difference. Home #1 is not overly neat, or clean. Home #2 has plants, even a fruit tree. She is trying to make is nice. It sort of speaks to attitude. You can always choose you attitude. "I may be living in the dump but I have pride and will try to plant beauty around me." 3) Now a surprising thing I saw this time was that salesmen come up there! Amongst all the trash, people put up little stores to sell chips, drinks, etc. 4) Again, Sid has half a dozen words in Spanish but he has relationships with everybody. They know him and he knows them. He greets everybody and stops to chat. There is a sense of community right there amongst all the trash. 5) This is what I observed this time around that I have never seen...the hopelessness. The further down into the 'bowels' of the dump you go, the poorer and poorer it gets. But at the same time, they are friendly and kind. They wave as we drive by, they shout out a greeting and they smile. You see children, barely clothed, running around and playing. You see happiness, if one can dare to say that. If your perspective on life is not changed after a drive through this area, you have a heart of stone. We, in our western world, rarely see this sort of thing. We can chose to write a check to donate and never lend a hand, a physical hand. It is easier to write a check. One can also have a hundred reasons why they aren't doing anything: too old, no time, no money, too busy, etc. etc. But really those are only excuses. Sid takes his holidays and gets active. He is not the only one, there are many tourist who come alongside and help. We can all help, little by little. When we visit Sid and Gladys we stay in the same hotel they do and we laugh and refer to it as a 1 Star Hotel. After a morning at the dump, suddenly this same hotel has 5 or more stars! Perspective. 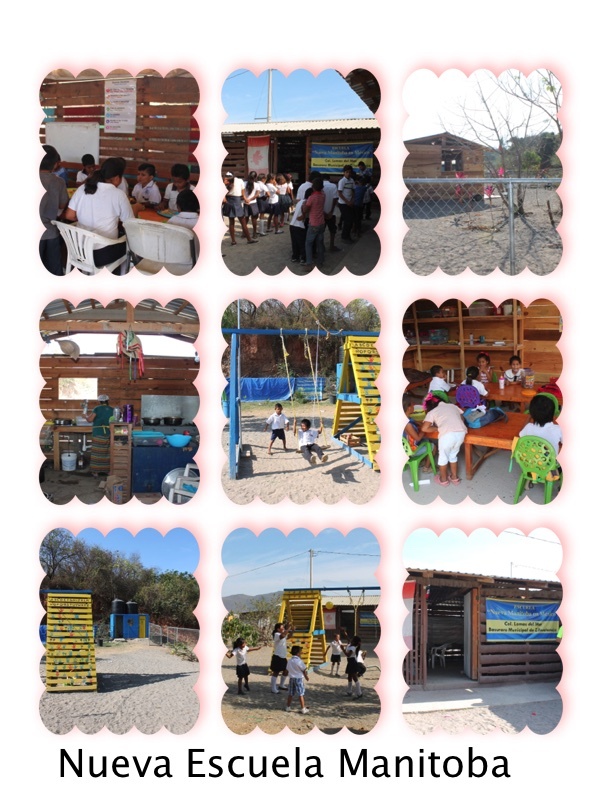 Pray for the people who live not only in Ixtapa at the dump but for the poor worldwide. We often forget how much we have, how truly blessed we are.